Being one of the largest manufacturers, we offer our ceramic sockets at nominal rates. These are manufactured in an advance manufacturing unit so as to provide products as pr the customized solutions. These ceramic sockets understand the exact needs of our clients. Besides, we also provide the facility of customizing and packaging for safe delivery of our products. Barstock Thermowell is normally offered up to an insertion length of 600mm. Fabricated Thermowells are recommended above 600mm. If required, insertion length can be determined by performing wake frequency calculations, in accordance with PTC 19.3. 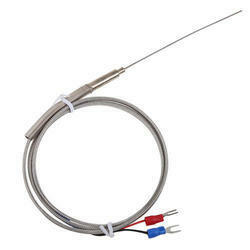 We are presenting excellent quality assortment of Base Metal Thermocouple Assembly. 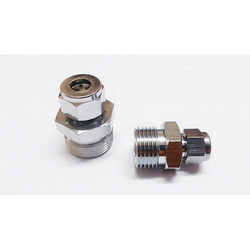 Provided with Male & Female-3 Pin Plug-Connector. We are an incomparable name in offering a superior quality Thermocouple Assemblies. The offered assemblies are fabricated by our professionals using high grade basic material to ensure its flawlessness at users' end. In order to meet the diverse needs of the clients, these assemblies are available in different sizes and shapes. Our company is involved in manufacturing and supplying Thermocouple Accessories. Our offered products are manufactured by skillful experts who have many years of knowledge in this domain. Therefore, our products are highly praised in the leading market. We offer this product at very affordable rate.